The week that was in the world of BIM and other Techie fun stuff, for the week of June 21st – June 27th, 2015. Let start this weeks roundup off with a couple of posts from Simply Complex about Dynamo for the Revit MEP folks out there. Want to Create MEP Spaces as 3D Solids in Revit? Its easy. Use DynamoBIM! Here is a post from ConAppGuru about ABC WW. This next post may come as a shock to some out you out there, but it is 100% true! (Applying Technology to Architecture). 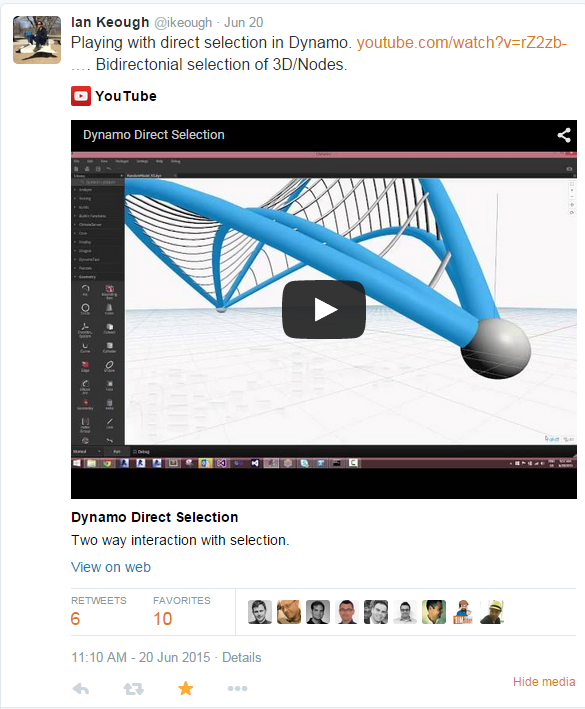 Here is a post from the Revit Kid about the Dynamo Primer (great read BTW). Now it’s time to learn about all that’s been going on in the world of RTC this week, from the RTC News Blog. Sponsors Wanted: What Would You Do with 350 Potential Customers in Asia? Why don’t we toss in a little ACAD help form CADproTips. Hey AutoCAD! Who’s Line is it Anyway? Here is a cool YouTube video about a possible new feature in Dynamo. Found this video in a tweet from the Father of Dynamo himself Ian Keough. This week we have a new podcast from BIMThoughts with guest Kelly Cone. Here is a link from What Revit Wants about what’s new in Navisworks 2016. Here is another helpful post form What Revit Wants, this time about Revit 2016. How do you work with the “BIM Effect”? Check out this post from The BIM Jedi. Here is a post by ArchSmarter about 10 Revit apps for 2015. This is a nice post by Havard Vasshaug (The Dark Arts of Revit) about how he ended up being the #1 and #3 presentations at RTCAUS 2015. 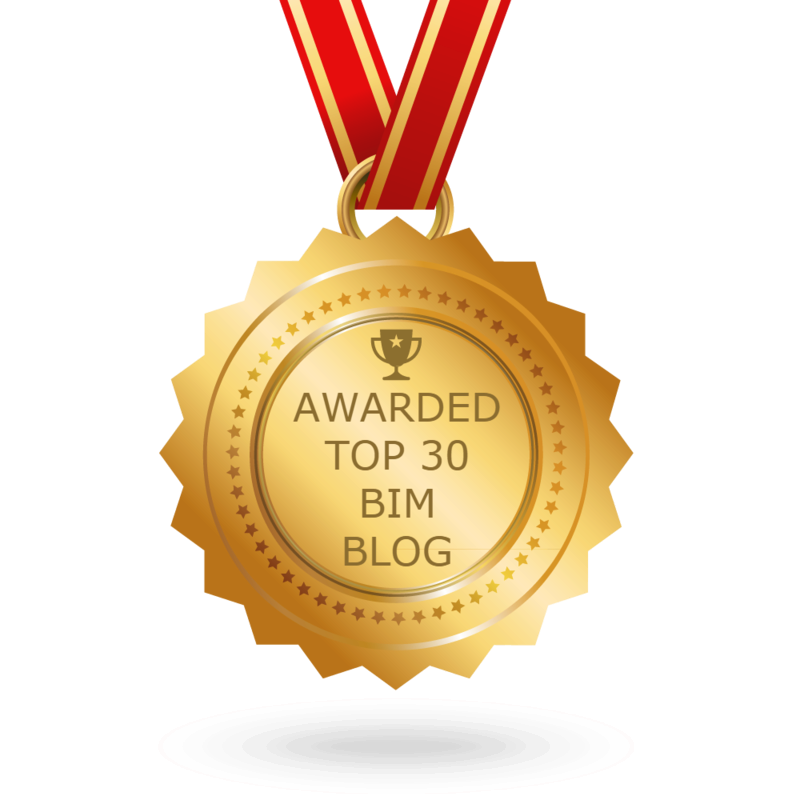 Here is your Tuesday Tech Tip (even if you are readying this on a Saturday) from the BIM Blog. Here is a handy post about annotating ramps from landarchBIM Blog. Here is a Dynamo post about analyzing Topo’s from All things Revit, Dynamo and Python. Now for some Bluebeam Love from Carol’s Construction Technology Blog. Here is another quick tip, this time about Unifi from What Revit Wants. Have you been looking for the Revit 2016 Extensions? Well this year Autodesk is doing them a little different. (CADNotes). Where can I download Revit Extensions 2016? BIM met PIM……PIM meet BIM. If you are not sure what PIM (Project Information Management) then you should check out this post from Extratnet Evolution and then maybe do the survey in it from AECbytes. This week the Autodesk Exchange Apps store passed 1 Million Downloads, learn more at In The Fold. Here is another handy post from What Revit Wants, this time lets us all know about the latest update for IFC and Revit. Keeping with the What Revit Wants theme, here are 2 more posts. Learn about the many way you can share on the A360 platform over at the A360 Blog. I always enjoy then a new Practical BIM post comes out, they are a little longer than most but always worth it when you get to the end! Here is the weekly construction gatherings from the ConAppGuru himself……enjoy. Looks like Revit beyond BIM is heading off to AU 2015….thrice! I think you might look at your wall opening in Revit a little differently after reading this post from BIM42. If you have not played with the new A360 online viewer you should, but first read this post about if from Daniel and Autodesk AEC software. Revit, 1 step forward 2 steps back, the fact is a lot of us still need to get DWG deliverables to our customers out of Revit. Well if this is you then this post from IMAGINiT Building Solution Blog might just be helpful to you. The Inside the Factory team has been doing a series on Revit 2016 and its performance, this week part 5 came out. Here is a good post from the RevitCat dealing with making custom hatches in Revit. Here are a couple of post from Shades of Grey, this first is a “quick” FormIt 360 post, and the 2nd one……. well it’s about clouds I think……but entertaining none the less whatever it’s about. This is a quick follow up post from sixtysecondrevit about worksets and Dynamo. This next post from the SketchUp Blog is really cool, and takes things from 3D model to CNC built “Maker Bench”. Lets end this weeks Roundup with the Future……or at least once possible version of it, from Line/Shape/Space.